Ronda Jean Rousey is a 29 year-old mixed martial artist and judoka who was born on February 1, 1987 in Riverside, California. Rousey was the youngest of three daughters. Her mother, AnnMaria De Mars was a very successful Judoka as well as the first American to win a World Championship in 1984. Ronda’s stepfather is an aerospace engineer and her mother has her Ph.D in psychology, but her childhood was not always so happy. Her father was in a tragic sledding accident that broke his back and incidentally he would be a paraplegic for the remainder of his life, he committed suicide in 1995 when Ronda was only 8 years old. Ronda had a speech impediment as a child, she had apraxia which is a neurological speech sound disorder that kept her from speaking intelligible sentences until she was six years old. It has been stated that this disorder was due to her umbilical cord being wrapped around her neck when she was in the womb. At three years old, her parents moved the family to Jamestown, North Dakota so that she was able to get intensive speech therapy at Minot State University. Ronda was never focused on school and ended up dropping out of high school and getting her GED. Rousey began learning Judo with her mother at just 11 years old until she was 13 when she accidentally broke her mother’s wrist. Ronda’s career took off at just 17 years old when she not only won a gold medal at the World Junior Judo Championships, but also qualified for the 2004 Olympics in Athens. In August of 2008 Rousey went to the Olympic Games in Beijing and won a bronze medal. She was the first American to win an Olympic medal in women’s judo. Ronda had close ties to MMA growing up because she trained with some fighters. Following the 2008 Olympics she decided to retire from Judo and begin fighting in MMA. Rousey had her first MMA match on August 6, 2010. Ronda dominated in the ring and quickly rose to the top. In November of 2012 she became the first female fighter to sign with the UFC and was soon declared the first UFC Women’s Bantamweight Champion. She was known for defeating her opponents with her signature move, the armbar. 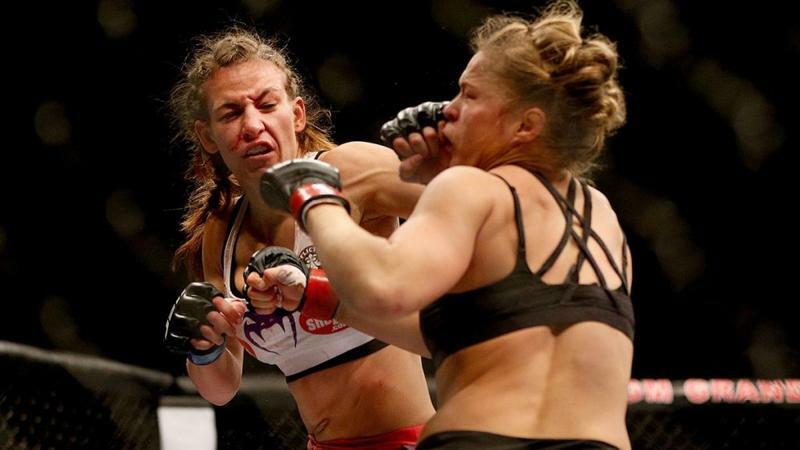 After 12 consecutive wins, and her 7th title defense, Ronda faced off with Holly Holm on November 15, 2015. This was the first time that she got defeated in a fight. It was the shock heard around the world. Everyone thought Ronda was unstoppable. 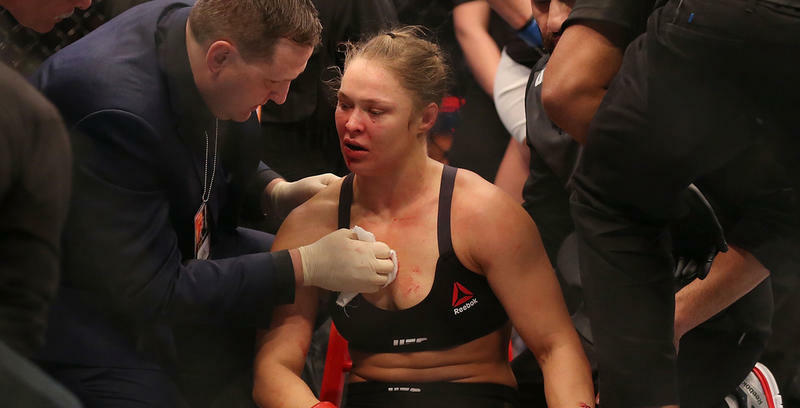 Ronda Rousey was medically suspended by the UFC three days after the match. She was medically cleared on December 30, 2016 and began training again. She did not compete for over a year, but returned on December 30, 2016 to fight current champion Amanda Nunes. In a surprising and brutal loss, Ronda lost to Nunes by TKO in under 48 seconds within the first round. Ronda has since been medically suspended again due to her injuries for 45 days, almost one day for every second she stayed in the ring. No one knows what this firecracker will do next. Hopefully she will train and come back harder than ever.